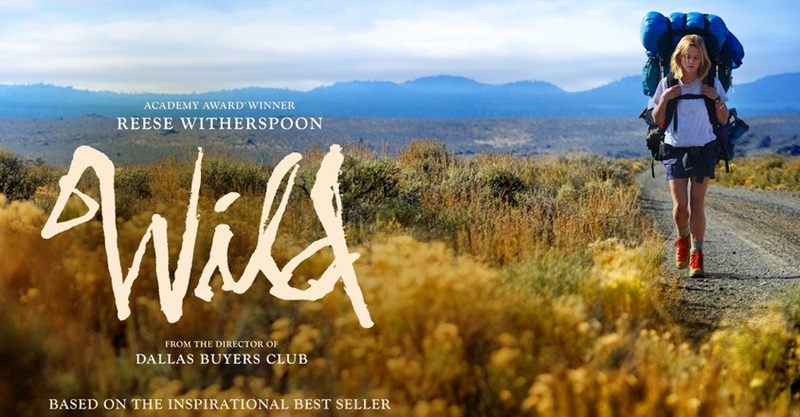 Wild – Did You See That One? After a series of tragedies, Cheryl Strayed (Witherspoon) is hoping to fix herself. This journey takes her more than 1,000 miles by foot, as she seeks her second chance. This story is based on Cheryl Strayed’s (Alien Boy: The Life and Death of James Chasse) 2012 memior about her time hiking the Pacific Crest Trail. Author and screenwriter Nick Hornby (About a Boy) adapted the book, and Jean-Marc Vallée (Dallas Buyers Club) directed the film. The film stars Reese Witherspoon (Devil’s Knot), Laura Dern (Jurassic Park), and Thomas Sadoski (John Wick). The cast also features W. Earl Brown (The Master) and Gaby Hoffman (Field of Dreams). This story is an introspective journey along the Pacific Crest Trail alongside Cheryl Strayed and her thoughts. The writing does a nice job of moving between current time and flashbacks to her better (and worse) days. While the story doesn’t offer all of the answers, the questions it asks are powerful and heartfelt. This movie feels like reading someone’s diary, looking into the thoughts and emotions of a woman in search for herself. The dialogue isn’t designed to make big statements, and works more on being entirely honest. This is a refreshing aspect of the movie that helps keep things interesting. If the film has any story issues it comes from the pace. The story sometimes seems to grind to a halt with false leads and minor characters. This isn’t always a problem, but it gets a bit repetitive at times. Still, this is a story that pays off nicely. Thomas Sadoski, Gaby Hoffmann, and W. Earl Brown all do great work in smaller roles. Each of them has a role designed to highlight different aspects of Cheryl. They all manage to find the right tone to work with, and they all seem to understand the very personal nature of the story. Overall, the acting does good work with a unique story. This film takes full advantage of the wonderful scenery along the Pacific Crest Trail. The cinematography enlarges the world of the film, and helps to accentuate the enormous task that Cheryl has in front of her. In addition, the visuals allow the solitary nature of her journey to sink in. This is a good movie that somehow comes up a bit short of great. I think the weakness is in the somewhat hollow plot points along the way. This is somewhat balanced by the acting and the visuals that tell the story. If you’re a fan of any of the stars, this is one to see. I would also suggest this to fans of emotional dramas. I give this one 4 out of 5 stars. Excellent review, I’m really interested in seeing this one. Good review. Witherspoon’s never been this down and out before in a movie, and it really works for her here. I don’t know if you saw Devil’s Knot. It’s not quite the same role, but it gave me a new respect for her ability to do darker rules. She definitely nailed this one. Thanks for checking out the review. Pingback: The Duff | Did You See That One? Pingback: The Hunger | Did You See That One? Pingback: The Founder – Did You See That One?